Mangaluru, 27 October, 2018: Prof. Shivanand Bhat, former Principal of Canara First Grade College and Canara Evening College passed away late night on Friday (26 Oct.), aged 67. It is learned that he breathed his last at about 10:30 p.m. at his residence at Kadri-Mallikatta and his demise was subsequently confirmed by the doctors at Colaco Hospital, Bendore. He is survived by wife Shyamala and two children. His son Sandeep is an engineer employed in Bangalore and his daughter Shilpa is presently pursuing final year law along with learning to be a Company Secretary. Prof. Shivanand Bhat was born on February 26, 1951 and had his early schooling at Cascia High School, Jeppu. He had loyally devoted his entire career to Canara College. He had joined the institution as a lecturer in Commerce in its very first year in 1973 and he was later elevated to Head of the Department. He served as Principal of the college from 1st December 2007 till his retirement on 28th February 2011. 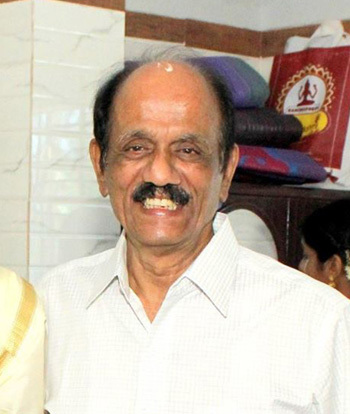 After retirement, when Canara Evening College was started, he was asked by the college management to lead the institution as its Founder Principal. He enthusiastically strived to establish the fledgling institution but unfortunately had to step down after serving for only a year due to his declining health. According to his former colleague Prof. P. A. Gopinath, Prof. Shivanand Bhat had been suffering from a fatal liver ailment for the past five years, though he was a teetotaler and lived an austere life. When his liver condition eroded to irretrievable level, lot of his former students came forward to raise funds for a liver transplant, a very expensive procedure. Though he gratefully acknowledged the love of his pupils, Prof. Shivanand Bhat steadfastly refused any help from others and insisted on financing his treatment with his own resources. Later the plan was dropped as a liver transplant was considered to be not viable. Soft spoken and mild mannered, Prof. Shivanand Bhat was very popular among the student community. “I shall always remember Prof. Shivanand Bhat as a very nice human being who was loved by all,” said Prof. Gopinath, adding that few years back when students of 1983-84 batch organized a reunion, he had made it a point to attend the get together despite being ill. “I was amazed to see that he could recall every student’s name though most of them had grown old and he had not seen them for over 30 years,” Prof. Gopinath said. His mortal remains were placed at his residence at 9:00 a.m. on Saturday for paying last respects, which was followed by cremation at Boloor Crematorium.